Each EGL USA Report is, without question, much more than an exceptional document. It is the final step in an exceptionally precise and thorough process. 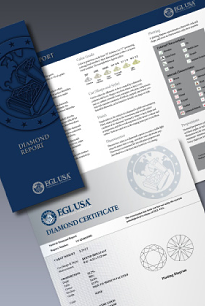 From initial stone submission to preliminary results, final reports, and verification in the days that follow, EGL USA offers the most comprehensive combination of gemological science and service available.